Hello all! 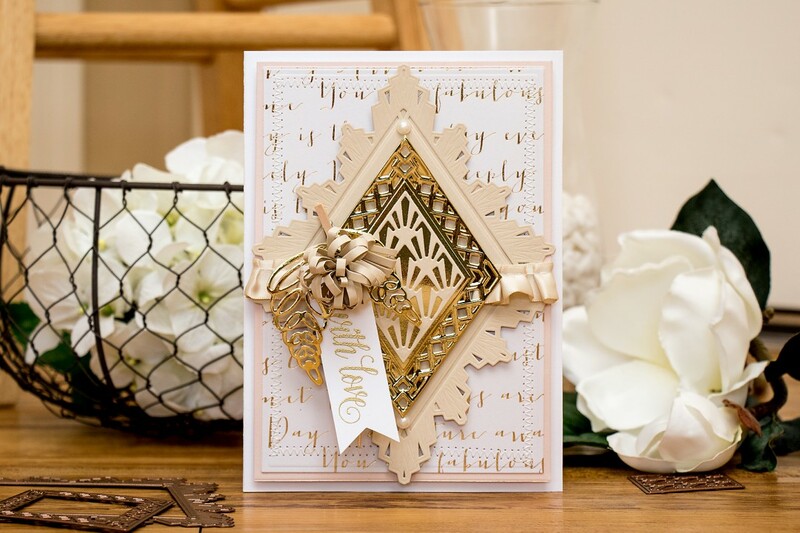 While Clean & Simple is a passion of mine, I love to also create beautiful heavily layered dimensional cards. Today I’d like to share an example of a card done using layering dies and die cuts. I used several dies from Spellbinders to create this project. This is a larger 5″x7″ card so I used 5″x7″ Matting Basics A and B dies to create base panel for this card (these are designed to give you perfect layers every time, there are also identical dies for the A2 card – A2 Matting Basics A and B sets), I adhered them together and added a zig-zag stitch around the perimeter. I love adding stitching to these type of projects. 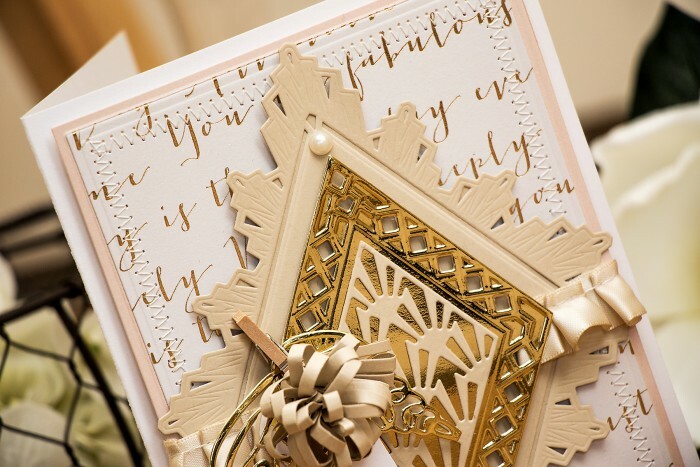 I also used Ritz Decorative Accents dies and die cut every one of them out of cream or gold cardstock. The flowers were created using the Loopy Roll Flowers set and leaves were die cut using dies from the same set. 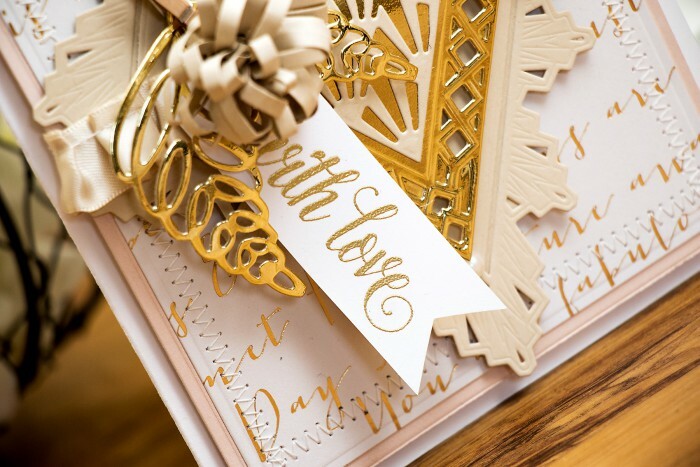 Adding gold to any project can really make it pop and this card is no exception. 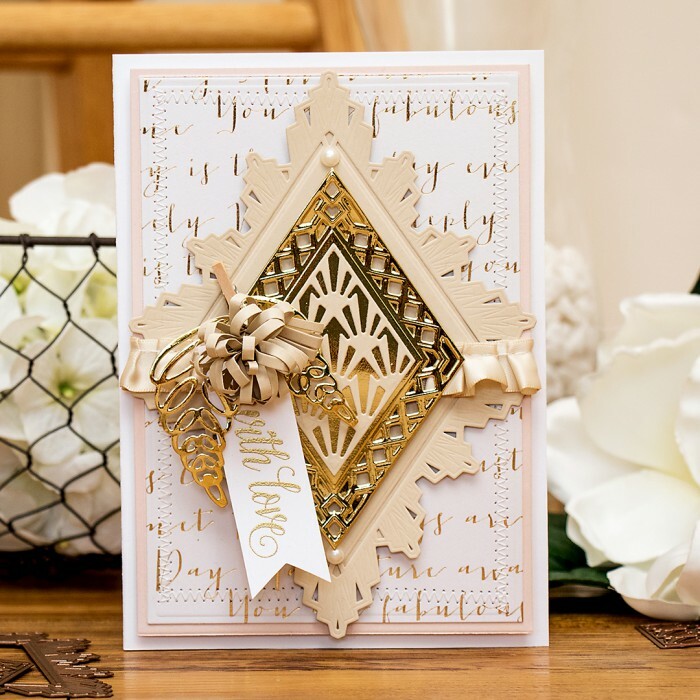 I have gold foiling on the patterned paper, I also used gold cardstock for the layered die cuts and the leaves and finally I heat embossed the sentiment in gold embossing powder. This card is also embellished with a few pearls and a bit of ribbon. 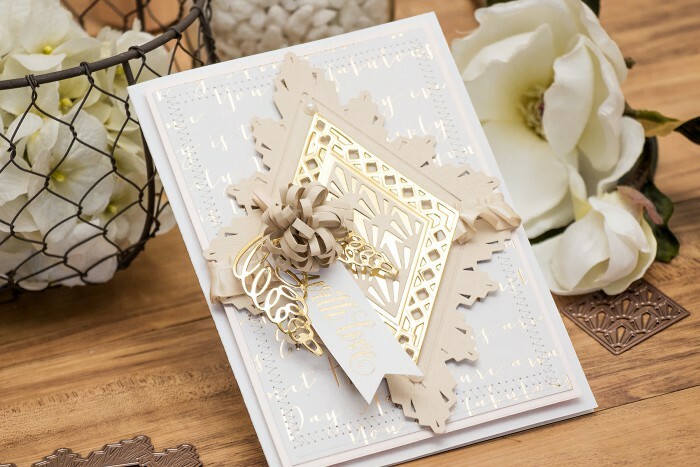 Everything is foam mounted onto the card base to create added dimension to this project. This is so beautiful Yana. Love those dies, just gorgeous! Yana, another beautiful card! I love your video’s. Thank you for sharing your creations.